The scientist and the layman alike adore making neat little pigeonholes of things around them pertaining to their job or interests: pictorial styles in archeological remnants or chemical molecules present in material things are no more conductive to fitting into classification systems than styles of macramé or hardware for garage use. Classification is always a learning tool, for oneself, as much as for the benefit of communicating to others; a way to organize one's world; a grammar. Floral fragrances in particular base both their consumer allure and their evocative powers on the flowers on which they draw their inspiration -if not always actual ingredients- from. Therefore the grammar of flowers is not only useful for the better understanding of the perfumes in which they star, but it serves as a powerful tool for the budding perfumer eager to explore their intricacies. In this linguistic analogy above, inspired by classical semiotics, the perfume is the text, ripe for interpretation and parsing. The words, the components that make it up, form a grammar. And the structure of the perfume, its way of being composed, of putting the grammatical forms into phrases with meaning, is syntax. Grammar of course, in language as in perfume, is a man-made construction: smells do not necessarily and spontaneously fall into groups, nor do they realize they do when they do! Grammar is a theoretician's way of organization much like the periodical table of elements is another. Therefore perfume theoreticians such as Edmond Roudnitska and Jean Claude Ellena, alongside Jean Carles and others, have tried to put order into chaos. And bypass order in their own work to render art. 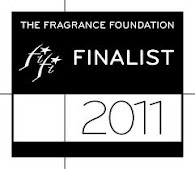 One of the most popular references is the "white floral fragrances" group. The color coding is easy: white florals are comprised of scents of white petal flowers, such as gardenia, tuberose, orange blossom and jasmine (though the careful perfume lover soon finds out that not all white flowers produce "white floral fragrances" nevertheless!). The ability to bring the scent memory forth is also an acquired reflex that stretches with a predictable kick at the mere mention of the term. The commonality lies in a substance white florals share: indole, which happens to be a white crystalline material as well (see our Indoles and Indolic Fragrances article). Some are more indolic than others: tuberose has more of the mentholated scent of indole, while orange blossom has little. The Jasmine Fragrance Series and the Orange Blossom Fragrance Series can serve as inspiration on exploring this genre more. Roudnitska classifies all fragrant materials into 15 series in his Art et Parfum, categories which include "balsamic" (see our corresponding reference article), "aromatic" (another fragrance term article), "tobacco" or "animal(ic)" (see our article on animalic scents for further explanation). Roudnitska opts to classify most major perfumery flowers into a group of their own: rose, violet, jasmine and orange flower take on their own individual slots. But within those categories there is some interesting overlapping: jonquil is close to orange flower, tuberose is included in the jasmine class. Some flowers are "green-smelling"; the freshness and impression of foliage of lily of the valley/muguet or narcissus and hyacinth explain the naming. Other flowers have a component that renders them spicy, such as carnation. Indeed classic carnation scents from the first half of the 20th century are routinely built on cloves, some combination of eugenol and rose. Gardenia however, despite the white floral moniker and although sharing facets with both jasmine and tuberose, is classified by Roudnitska in "fruit". It's no wonder that Ellena composes his gardenias with prunolide (a prune evoking aldehyde)! Other classifications, such as the one employed by Jean Claude Ellena himself, are based on the common components that flower essences share in their molecular structure; equally persuasive and not necessarily contradictory to Carles's or Roudnitska's systems. The floral essences can be divided into roughly 5 sub-groups: rosy flowers (in which rose, peony, cyclamen, sweet pea, tulip and magnolia are included), white florals (jasmine, gardenia, tuberose, longoza, honeysuckle, orange blossom -and narcissus, please note), the yellow florals (including freesia, osmanthus, azalea and iris -and I'd add boronia and tagetes/marigold myself), the spicy florals (carnation certainly, but also lily, petunia, orchid and ylang ylang) and the anisic florals (with prime among them mimosa, cassie and lilacs). 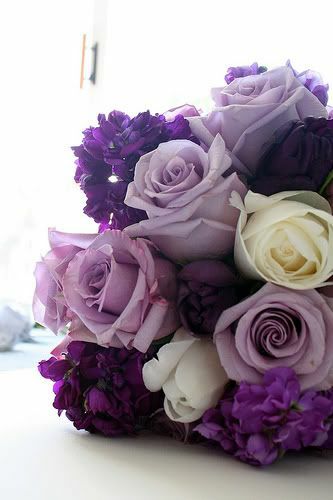 In this system there are no "green florals", so hyacinth is classified under rosy florals , as is lily of the valley. This is more a process of elimination. Additionally, things aren't always laid in stone: Magnolias are made with nerol, citronellol, geraniol (rosy compounds) myradyl acetate, linalool, methyl anthranilate...This brings them closer to roses, of course (and orange blossoms). Some ready-made compounds however, such as Magnolan, are closer to jasmine & lily of the valley, only more citrusy (grapefruit? 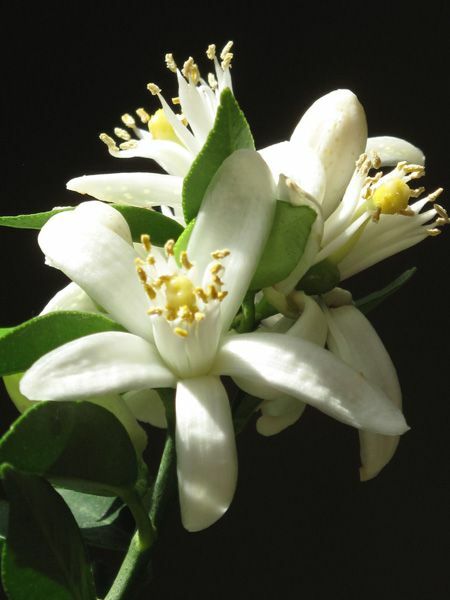 ), so it all depends (some perfumers use jasmolactones into making a magnolia). As to Yellow Florals, you can find an analytical explanation with fragrance examples in my article on Yellow Florals on Fragrantica. Suffice to say here that it's the presence and degradation of carotenoids (which account for the vivid shades of the flowers and many fruits -even animals too, such as the flamingo or the shrimp) which results in exuding ionones. Ionones are fragrant molecules that are otherwise routinely used for the creation of violet and iris notes in perfumery. 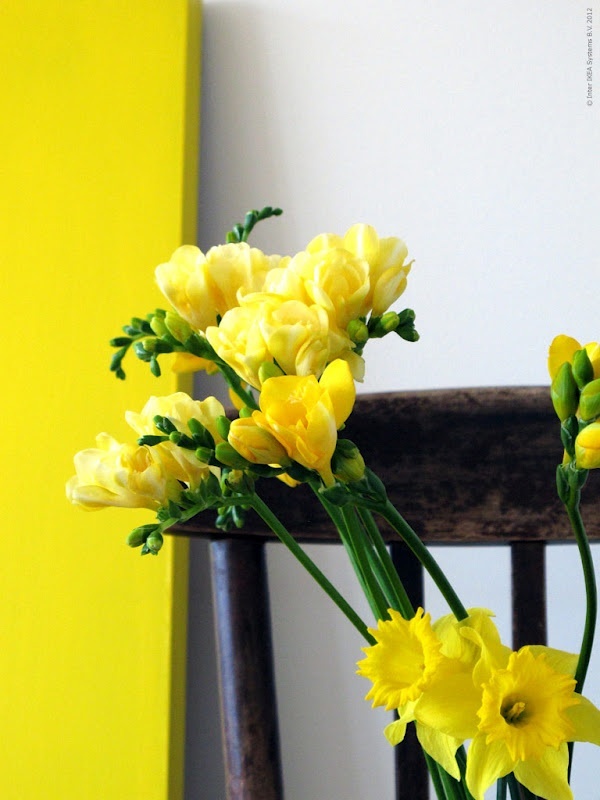 Beta-ionone is practically code name for yellow flowers. (But ionones are also used as a masking agent, so it's not uncommon to come across alpha-isomethyl ionone in a pleiad of scented products). Ionones happen to range between a pale to more standard yellow in the lab, so the taxonomy might have to do with the odor materials as well as the floral representatives in the botany sense. If you're searching for credible yellow floral fragrances search not further than Antonia's Flowers (freesia dominant & nicely non harsh), Osmanthus by the Different Company, Dior J'Adore, Osmanthus by Ormonde Jayne, and Royal Apothic Marigold Extract are recommended fragrant voyages to sail upon. Green florals are easier to pinpoint than expected because no matter what the color of the flower, the feel of the aroma is evocative of spring foliage, young buds and snapped leaves. It's more of a mental association, which has been passed down to us through eons of referencing the coming of spring with the color green. The visual signifier has therefore come to potently symbolize a whole class of smells. It's easy to mentally overdo them too, as "green" universally stands for "go on", "free to go", "more", "faster", kill, pussycat, kill. Characteristic examples of the genre include the famous Diorissimo by Dior (composed by Roudnitska himself and idolizing the fresh bouquet of lily of the valley, what is colloquially called "May bells"), Chamade by Guerlain (with a very discernible hyacinth note), and Le Temps d'Une Fete by Patricia di Nicolai (composed on daffodils and narcissi). Spicy florals seem self-explanatory but aren't necessarily. Anisic florals recall the scent of aniseed (famous for scenting pastis and ouzo aperitifs), which is...a spice! 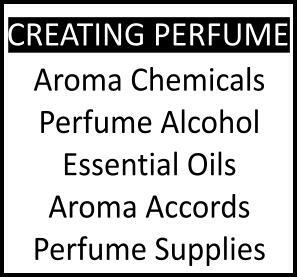 To make things easier on you "spicy florals" in perfume classification always refer to the presence of eugenol or isoeugenol, so flowers that recall cloves or mace are considered in this taxonomy, such as carnation and lily. Bellodgia by Caron evokes carnations potently (as do but in an orientalised context other famous Carons perfumes, namely Poivre and Coup de Fouet). 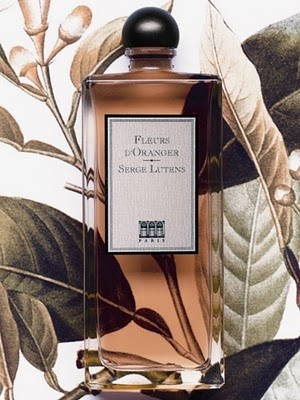 So do Oeillet Sauvage by L'Artisan Parfumeur, although more naturalistically (composing the note on rose and ylang ylang with a helping of eugenol), and Dianthus by Etro among many others. Worthwhile lily fragrances to sample include Lys Mediterranée by F.Malle (sea spray salted lilies), Un Lys by Serge Lutens (more vanillic), Baiser Volé by Cartier (powdery), Guerlain Lys Soleia (tropical lilies), Donna Karan Gold (with an amber base note) and Vanille Galante by Hermes (ethereal and very refined). Mimosa and cassie fragrances are decidedly anisic: classic perfume references include the stupendous Une Fleur de Cassie by F.Malle, and Mimosa pour Moi by L'Artisan Parfumeur, a life-redolent mimosa. Lilac fragrances are hard to do properly, because they have an anisic component, the floral sweetness and softness, as well as a spicy & fruity nuance. Most lilac fragrances on the market have a toilet freshener feel to it, but Highland of Rochester Lilac and Pur Desir de Lilas (Yves Rocher) succeed where others fail. Helg, I bought Malle's Travel box of 3 little vials of Fleur d Cassie --- Ooooooo that is full bottle worthy - you told me to try it and you were "right on" girlfriend !!! I have to say, I Love all the florals! Goutal does them (florals that is )so well too - I am not a "voilet" girl but Goutal's is divine and I have a bottle of that one too. wow, isn't that a perfect thing! Thanks for letting me know, I knew you'd love it! It's such a wonderful, intimate and yet sunny, and smooth fragrance. It radiates very well too, so people coming into contact can smell it too and partake in the glorious effect! Enjoy!! Yes, I like the approach of Goutal to florals as well; they have a delicate feel about them which is very romantic. They also do use (at least up till now, who knows what happens from one minute to the next) -as do Miller Harris- more naturals than most department store brands, which is a nice bonus (gives vibrancy and tenderness to the blends). I do love an educational post. thank you for the lovely compliment, you're most welcome. 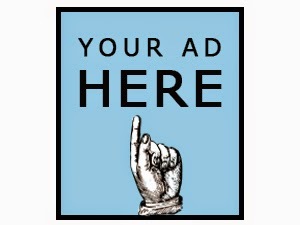 It's good to hear that people find resonance with the piece. I've never understood why lily of the valley and hyacinths are described as smelling 'green'. I've never detected anything that I would consider green in their odors. Perhaps the aroma chemicals used to represent those flowers might have 'green' notes, but the flowers themselves have nothing of the sort in their scent profile, at least to my nose. I know the scent of both intimately, my mother had a patch of lily of the valley in our yard ever since I can remember, and later we grew hyacinths(many replanted from grocery store Easter pots), so my springs were scented with lily of the valley, hyacinths, and lilacs(that I could see as being perhaps 'green', although certainly not anisic). To me lily of the valley shares much with rose, jasmine sambac, and orange blossoms. I actually think the 'Singapore' plumeria(which is white), and the 'Celadine' variety smell very much like lily of the valley! Hyacinths smell like cinnamon, jasmine, and some sort of animalic funk, to me they are actually a spicy, musky smelling flower. I can see why narcissus might be called 'green' as well. The "breakdown" takes into account the chemical deconstruction of the molecules of these flowers in nature. This is why you see the classification: they contain respective molecules in abundance. They're not always immediately perceived by the nose. Hyacinth and lily of the valley fall under the rosy florals in the classification perfumer Jean Claude Ellena uses, for what it's worth. I personally find hyacinths smelling of animal (yes), jasmine (yes), musk (yes) and an oily vegetal thing which I could describe as "green" (but not green as in sweet cut grass, more like stems in a vase).